look up duty pharmacies! recommend pros! chat with the pros! check the weather! get advice from bloggers! give your opinion! get inspiration! look up emergency numbers! check traffic info! explore Luxembourg! check out what’s on at the cinema! make doctors’ appointments! follow the pros! find out about the market! chat with your communities! check your horoscope! prospect effectively! follow bloggers! book a table! find the right contact! enjoy savings all year-round! get good advice! work your network! find a job! find a car park! find a property! Renovation work: call a professional? Masonry , plumbing, carpentry, ... You have decided to renovate and you do not know where to turn? Editus gives you advice and helps you make the right choice! Who to entrust your work to? Two options are available to you: you turn to craftsmen / specialized companies, or to companies all bodies of state . The latter take care of the execution of all the works, while for the craftsmen or the specialized companies, you will have to call several of them to realize the whole of your works. By opting for a full-service company, you will depend on its choice for subcontractors, which means that you may end up with less qualified service providers. A problem that does not arise if you choose the artisans and companies that will work on your site. However, this option also has a disadvantage: a planning problem can quickly happen, you have to be vigilant and coordinate the different companies efficiently, which can take a lot of time and energy. It is up to you, then, to weigh the pros and cons, and to ask for quotes from each other. Also, survey your relatives because, in general, word of mouth is the best way to find a great professional . To achieve some savings, it is sometimes tempting to carry out all or part of the work by oneself. However, keep in mind that it is not always profitable and that it can also be dangerous . 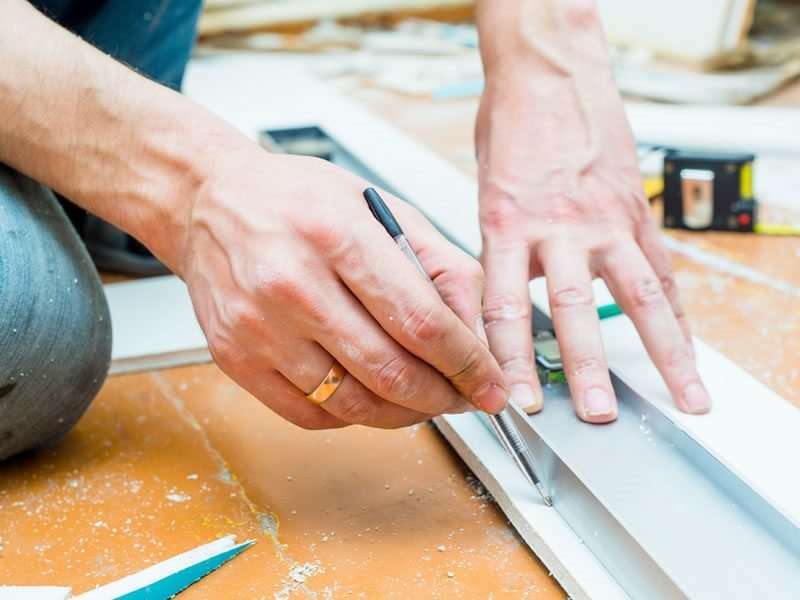 However, if you are a handyman or have friends who are manual and ready to give you a hand, it is possible to do some work (painting, tapestry, tiling , etc.). On the other hand, when it comes to electricity , pick up your phone and hire a professional. Doing this type of work requires special skills and know-how, do not take risks. Ditto for the work related to plumbing, better to trust a pro. How to optimize your house on a small plot? A small home is better than a big home, says the adage. Whether by choice or by default, the purchase of a small lot does not prevent to make his home a warm place where life is good. Creating the house of your dreams in a small volume is far from impossible, provided however to perfect its implementation.